Now this is a bass. 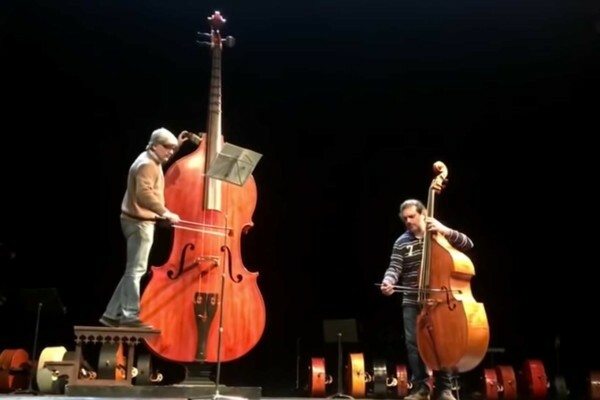 The Octobass is an enormous, three-string instrument that tunes an octave below a standard double bass. It’s so large that the player has to use special keys on its side to change pitches on each string. 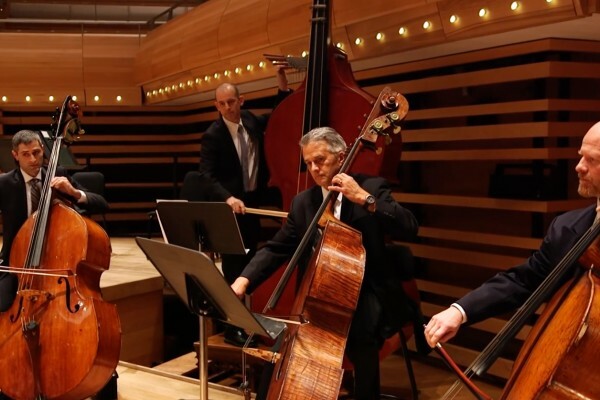 The Musical Instrument Museum – which now seems to be the coolest museum ever – lent out their Octobass to Nico Abondolo for a recording session for the soundtrack to the movie The Hunger Games. I never thought I would say this….. but that is just too much bass. The only purpose I can see this thing serving is to create good dinosaur sounds for the movies. this would sound great if he let the strings ring for a damn second. Let it ring, resonances…..not thumpa thumpa thumpty. I just love the audacity! And…love those over-head pedals! This idea come from Bach! really great! they should work on the pressing down of the strings… it sounds like it’s not fully closing down on the string and buzzing. And now I would like to hear ”Smoke On The Water”! !